I would like to thank the Right Honourable Judges of the Supreme Court for swatting out some of those pesky flies that keep buzzing around threatening to spoil the things that make life beautiful - our movies, our books and writings, and today, our right to hum along to "Manikya Malaraya Poovi", enthralled by Priya Varrier's facial dexterity. It is okay if the song doesn't ring a bell, you'll probably recall it as the winking song. Justice Khanvilkar and Justice Chandrachud today swiftly did away with the "Ì'm so offended" FIRs that popped up, unequivocally dismissing the allegation by the Raza Academy and some clerics that the song from the film Oru Addar Love hurts the sentiments of Muslims. It made me wistful about what could have been. If the Supreme Court of yore would have moved in quickly to dismiss the various cases that had popped up against artist M F Husain by those who were offended by his paintings, he may not have died so far away from his country. 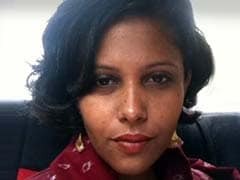 Just as the top court dismissed the charge that an 18-year-old's viral video had "deliberate and malicious acts intended to outrage religious feelings'', the same could have been said by our honourable judges when the master painter painted the Saraswati or other Indian Gods and it drove some people of little faith to cry sacrilege. I had no idea that the song that set my heart a-flutter, thinking about love and longing, was actually a bit of a prayer. Did the 34 million people who watched the video in just 10 days, the ones who saw the character Priya Varrier plays make eyes at her love interest in a school assembly and were immediately transported to days when they had crushes in school, know that it had references to the Quran? Obviously not. Music has always been the language of love and that's why Raj Kapoor songs are sung from Russia to Egypt and Latin hit Despecito has been burning up the dance floor and making waves on social media across the world. Isn't it ironic that at a time when southern Indian states have been fighting the imposition of Hindi, when Karnataka Chief Minister Siddaramaiah is using language hegemony to make a political point in elections, this Malayalam song just dominates it all by its sheer effervescence? Glorious as Manikya the song is, that is not why it's become such a phenomenon. 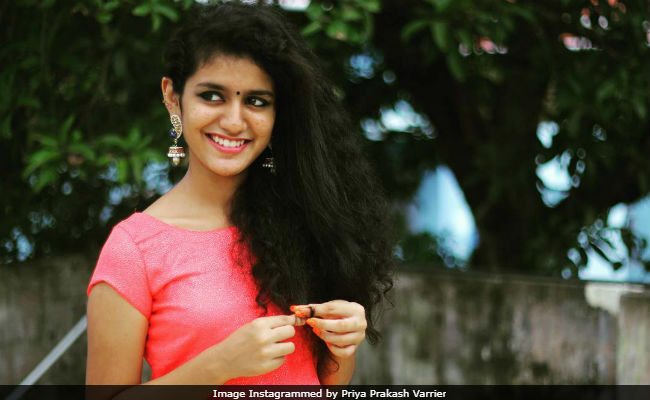 What has made the unfinished film a runaway success already is Priya Varrier's swag. At a time when women are still struggling to break free of shackles imposed on them by fathers, brothers, husbands, neighbours, teachers, khaps, police and politicians, telling them what to wear, what to drink and how to laugh, Priya seems to effortlessly brush it all away with just some eyebrow-thumri. When Priya literally seems to destabilize the boy who falls on to the boy standing next to him, with a wink, she asserts the power of female sexuality - it's matter of fact, it's ever present and it's all done with a sense of confidence and fun. For generations of women who've been told not to flaunt it, Priya's moves are a validation to express our desires. When she went to the Supreme Court, it was an assertion to fight for her right of expression and I thank the Lords that they upheld it too. Here's winking at you, sister, may your attitude go viral too. What Will We Do In A World Without Sridevi?